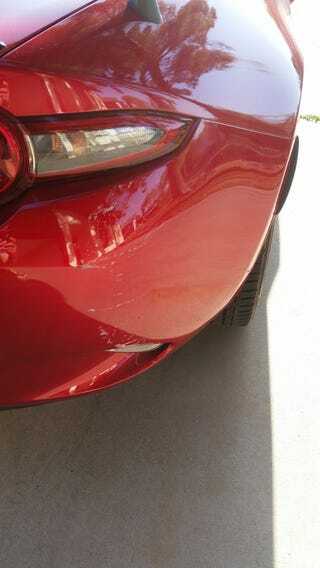 Nudged a concrete pole at walking speed while backing into a parking space this morning. I hate that space. I scraped a wheel on the adjacent curb and now this. It’s almost like I need to rely on what’s going on around me instead of preconceived notions of how things should be. On the scale of Mondays, this ranks closer to the bottom. I’m angry and a bit disappointed in myself, but I just learned that my coworker is quite ill, which gives me some perspective. At least this can be fixed with applications of money.